I had just setup WordPress on my host server, when I discovered that some, but not all of my images were uploading. Then within days, the media uploader quit uploading images altogether, leaving the cryptic message “http error”. I scoured the internet LITERALLY for days with no resulting viable solution. One of them was to change the file and folder permissions on the “wp-content” folder in the root directory of WordPress. This sadly did not work. I tried several other options, which I won’t even bother you with as they too did not work. Then I stumbled on this one, which works BEAUTIFULLY! Log into your cPanel dashboard. 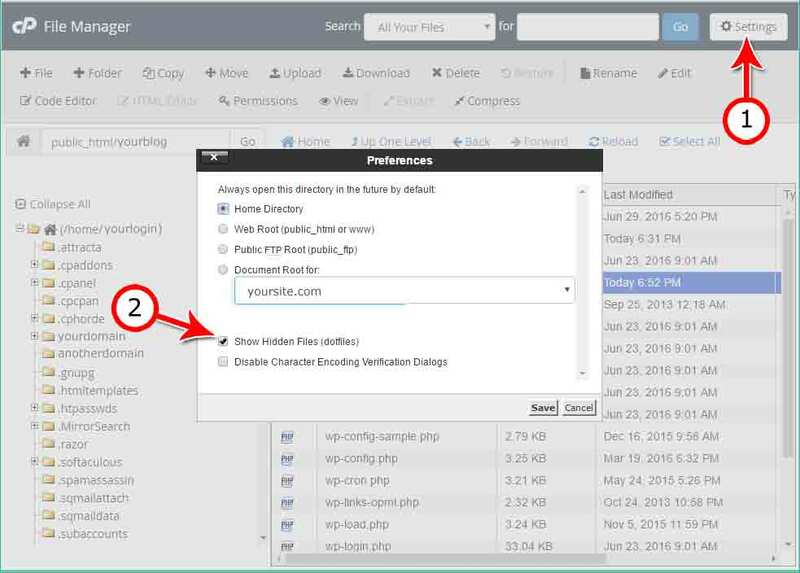 Using the file manager, navigate to your WordPress site’s root directory. Locate and open the .htaccess file for editing. Save the changes to the .htaccess file. If you can’t see the .htaccess file, you will have to enable the view by clicking on “Settings” in cpanel and make sure that “Show hidden files (dotfiles)” is checked and then “Save” it. You should then be able to make any needed edits in your .htaccess file.